Park City Mountain Resort could be Epic next season, pending settlement of ongoing litigation (Wiki Commons photo). The two sides in a long-running legal battle for control of Park City Mountain Resort have requested more time to work out a deal that ultimately could land the iconic Utah ski area on Vail Resorts’ Epic Pass this coming ski season. Vail Resorts, which runs The Canyons ski area next door, is currently working with landowner Talisker to take over operations at neighboring Park City, which is run by Copper Mountain owner Powdr Corp. Powdr recently announced it would post a $17.5 million bond to continue operating Park City while appealing a May ruling that they missed a 2011 lease-renewal deadline. While multiple mediation deadlines have come and gone, it’s possible the two sides could still reach an agreement under which Vail would run Park City. If that happens, there would be an even dozen U.S. ski areas in five states on the Epic Pass, which right now is selling for $749. The entire trend of discounted multi-resort reciprocal season ski passes started in Colorado in the 1990s when ski areas like Winter Park and Copper Mountain, in a bid to stay competitive with a rapidly expanding Vail Resorts conglomerate, started experimenting with discounted season ski pass deals. Suddenly Vail, which at the time was merging its home mountains of Vail and Beaver Creek with Keystone, Breckenridge and Arapahoe Basin, realized it could offer a slew of ski mountains on a single discounted season pass and dominate market share in the state. The U.S. Justice Department later forced Vail to sell A-Basin, but it stayed on the super-cheap Buddy Pass. Now multi-mountain season ski passes for half of what single-mountain passes used to go for in the 80s and 90s are the norm in the industry, and a whole generation of snow riders has grown up thinking it’s always been this way. The key is still to figure out your home mountain – where you’re likely to make the most turns – and see what their season pass deal looks like in terms of offering other resorts you’re likely to visit that season, whether in-state or in another country. For instance, Minneapolis-area snow riders who frequent Afton Alps may seriously want to consider an Epic Pass if they can get away for even just one trip out west to Colorado, Utah, California or some far-flung powder destination in Europe or Japan. However, it should be noted that if you can afford intercontinental airfare, discounted lift tickets are likely the least of your concern. Epic Pass: For $749 (roughly half of what Vail charged for season passes in the 1990s), adult snow riders get unlimited access to 11 ski resorts in five states – including the three largest ski areas in California, Colorado and Utah. As a nice added perk, Vail Resorts throws in five consecutive days at Niseko United in Japan and 3 Vallees (France) and Verbier (Switzerland) when staying in resort lodging. And there’s a chance Park City could be included this season. Rocky Mountain Super Pass: For $529, adult snow riders get unlimited access to several Colorado Front Range favorites under different ownership: Winter Park, Copper Mountain and Eldora, which last season was part of the Epic Pass. The Super Pass also provides restricted access to Steamboat, Crested Butte and Mount Ruapehu (New Zealand). Powdr Perks: Copper, which is owned by Powdr Corp., is also part of the Powdr Perks program, which offers three free lifts tickets at five other Powdr resorts: Killington (Vt.), Las Vegas Ski and Snowboard Resort (Nev.), Boreal Mountain Resort (Calif.), Mt. 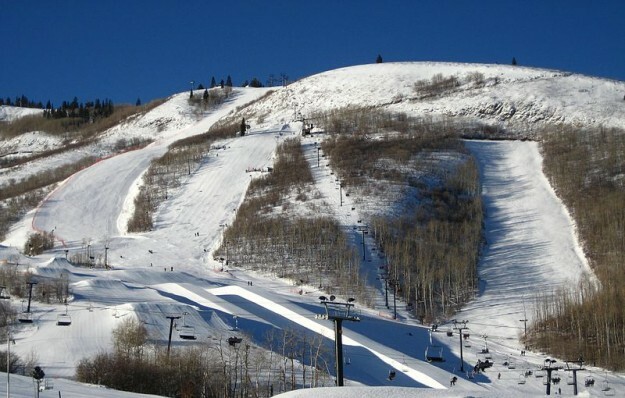 Bachelor Resort (Ore.) and Park City (Utah), which is embroiled in litigation that includes Vail Resorts. Pass holders at the other Powdr mountains also get Powdr Perks. New this season, Copper Mountain season pass holders can also access Grand Targhee (Wyo.) and Taos (N.M.). The Powder Alliance: Buy a season pass at your home mountain and get three free lift tickets at 12 other ski areas in nine western states and new this season, Silver Star, British Columbia. The deal includes some seriously legendary powder stashes like Bridger Bowl (Mont. ), Schweitzer (Idaho) and Snowbasin (Utah). The Mountain Collective: For $389 snow riders can get two days each at seven of the most intense ski areas in North America in terms of both terrain and snowfall, plus 50 percent off any additional lift tickets. New this season is Banff/Lake Louise, Alberta, Canada. The six other participating resorts are Alta/Snowbird (Utah), Aspen/Snowmass (Colo.), Jackson Hole (Wyo. ), Mammoth (Calif.), Whistler Blackcomb (B.C., Canada), and Squaw Valley/Alpine Meadows (Calif.). Intrawest Passport: For $589, adult snow riders get six days at six Intrawest resorts – a good deal for East Coast skiers at areas like Stratton (Vt.), Snowshoe (W. Va.), Blue Mountain Resort (Ontario, Canada) and Mont Tremblant (Quebec, Canada) who want to head out west to Steamboat and Winter Park (Colo.), or vice versa. Plus, kids 12 and under ski for free. Okemo Ultra Pass: This one doesn’t really fall into the discounted category, but if you’re a diehard New England skier with an urge to go west and explore the extreme steeps of Crested Butte (Colo.), this one’s for you. For $1,629, adult snow riders get unlimited access to Okemo (Vt.), Sunapee (N.H.) and Crested Butte, plus three days at Killington (Vt.).